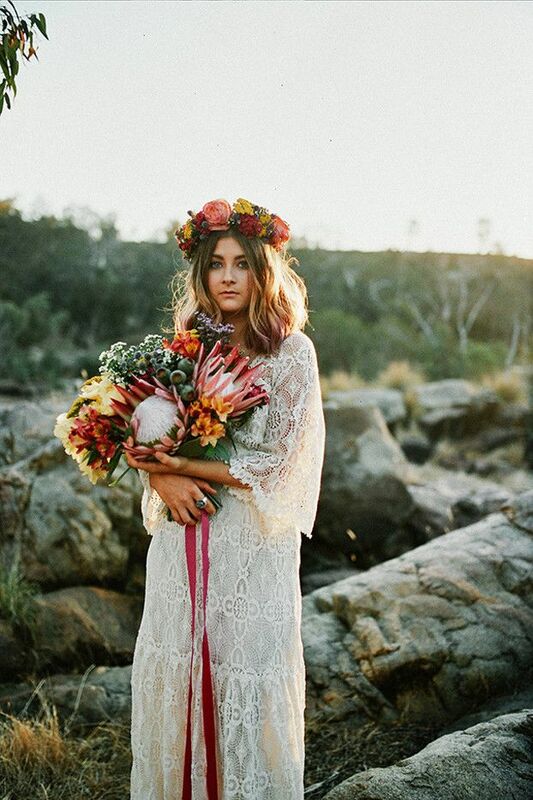 Wedding dress trends come and go, but any that are bohemian-inspired style seem to be a constant in the bridal world, maybe because it's a fairly versatile vibe. Although "boho" immediately conjures images of flower crowns, billowing silhouettes and open backs, there are myriad ways to capture the bohemian spirit. We did a deep dive on Pinterest recently, and our perspective on bohemian style's versatility was immediately validated. We found so many different kinds of bohemian brides out there. Featuring details from colourful ribbons to subtly off-white lace gowns, all these wedding looks embody boho without being cliché. Shop the high-street wedding dresses we rate the most.